As government agencies around the country question sanctuary city policies, Berkeley digs in. Manuel De Paz says the current immigration system re-victimizes people who have already suffered greatly. Last month, the US House of Representatives approved House Resolution 3009, the "Enforce the Law for Sanctuary Cities Act," a bill that would punish communities if their officials don't cooperate with US Immigrations and Customs Enforcement (ICE) and turn over undocumented immigrants to the federal agency. The bill, which was sponsored by California Congressmember Duncan Hunter, R-El Cajon, would withhold federal funding for certain law enforcement initiatives in sanctuary cities, including community policing programs. It was drafted in response to the killing of Pleasanton resident Kathryn Steinle in San Francisco — a city whose status as a sanctuary city has been blamed for the tragedy. Steinle's killer, Juan Francisco Lopez- Sanchez, is an undocumented immigrant and was released from jail prior to the shooting because San Francisco prosecutors dismissed a decades-old marijuana possession charge against him. Prior to Lopez-Sanchez's release, ICE officials had filed a request that the San Francisco County Sheriff's Department notify them before Lopez-Sanchez was to be set free. But because of San Francisco's sanctuary policy, the department did not cooperate, due to the fact that he had not been arrested on suspicion of a violent crime. While HR 3009 has yet to be approved by the GOP-controlled US Senate, the tone of national discourse has become decidedly reactionary toward numerous sanctuary cities throughout the country. Public officials and commentators from across the political spectrum have weighed in to demand an end to the practice, and even California's own US Senator Dianne Feinstein has said that sanctuary cities such as San Francisco, Oakland, and Berkeley should cooperate with ICE requests. In spite of the backlash, at last week's Berkeley City Council meeting, Councilmember Kriss Worthington introduced a recommendation that the city officially oppose HR 3009. The council then unanimously approved his resolution. Indeed, the proposal was so popular that Councilmembers Lori Droste and Jesse Arreguín both asked to be added as co-sponsors of it during the meeting. The resolution includes language that calls on legislators to "focus on addressing the root causes of crime, including poverty, mental health issues, substance abuse, and gun violence," rather than place blame on sanctuary cities. It also includes a provision that calls on senators Feinstein and Barbara Boxer to also oppose the legislation. "When you have an attack on a vulnerable community, fair-minded people really need to speak up and stand up and support them," Worthington said in an interview. "I think it's really important that we have a strong, overwhelming show of opposition to these mean-spirited measures." Worthington criticized what he called the "schizophrenic" climate surrounding immigration, in which there is greater public support for undocumented workers than ever before, but also extreme hostility toward that community. He advocates for the United States to adopt comprehensive immigration reform, which he believes can be achieved if a broad coalition of pro-reform activist groups receives support from local governments. He sees Berkeley's City of Refuge policies as a way for the city to express its support of that wider reform: "We hope that having multiple cities around the state and around the country be sanctuary cities does send some kind of a message to the federal government," he said. In a separate interview, Berkeley Mayor Tom Bates also defended the City of Refuge policy. "We go to the wall to make sure that people who haven't violated any health or safety laws ... aren't subject to being arrested or deported," he said, adding that if Berkeley police arrest someone wanted by ICE and they do pose a safety risk, or if a court orders that they be turned over, then Berkeley will comply. For his part, Bates said he believes that San Francisco probably should have notified ICE about Lopez Sanchez's release, but he also expressed fears that an isolated case will lead to sanctuary cities being needlessly punished, even when their policies are designed to prioritize public safety. But other local public officials have begun to toe the ICE line, including Alameda County Sheriff Greg Ahern, whose department recently launched a policy of fully cooperating with ICE requests for notification of release — even for inmates who haven't been charged with violent crimes. Whether HR 3009 becomes law or not, the policy changes it inspires, like that by Alameda County, may lead to increased numbers of deportations around the country, including from communities that have historically offered sanctuary. In response to Ahern's new policy, Worthington said that Berkeley is looking at legal ways to prevent the sheriff from subverting the will of the city's voters, since those arrested in Berkeley often end up in Santa Rita Jail, the county's sheriff-run facility in Pleasanton. The safety-net role of Berkeley's City of Refuge policy for immigrants is profound, according to immigrants' rights advocates with the Berkeley-based East Bay Sanctuary Covenant (EBSC). Representatives of EBSC, which gives legal aid, English language training, and other support to undocumented immigrants and asylum-seekers, say Berkeley's policy, and a similar one in Oakland, protects their clients when they have to interact with city officials and can help alleviate some of the stress and fear caused by being undocumented. 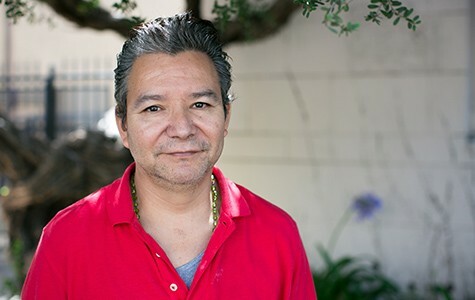 Manuel De Paz, EBSC's Community Development and Education Program director, fled the Salvadoran Civil War in 1990 and came to the United States after watching the conflict ravage his family: "I had my two brothers — one was decapitated and the other was hacked to pieces," he said. One of his cousins, only eight years old, was also decapitated. Upon his arrival in the United States, he was taken in by Oakland Catholic Worker, an organization that provided him with a place to stay for free for two months while he got on his feet in a new city. Later, he sought the support of the EBSC and ultimately attained US citizenship. 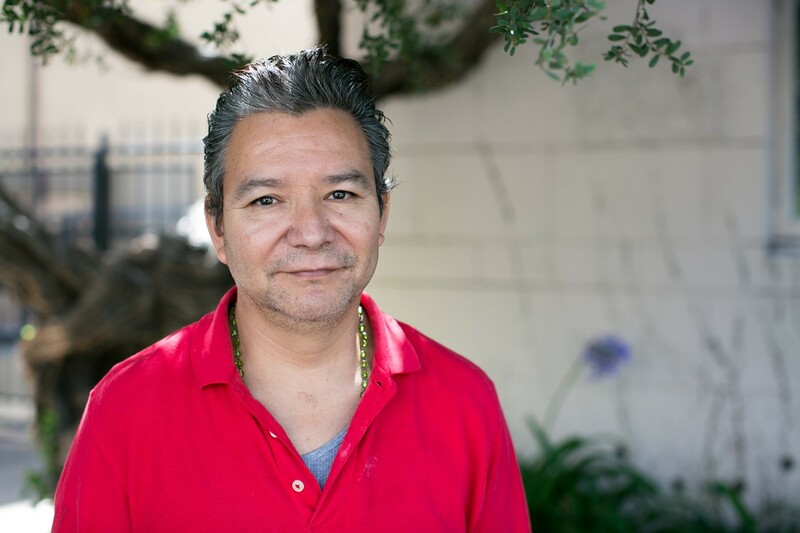 Now that he works for the organization, De Paz is well aware of the ordinances that make Berkeley a City of Refuge, but as a newly arrived asylum- seeker, he had no idea that those types of protections were in place. According to EBSC's Executive Director Sister Maureen Duignan, undocumented immigrants are usually unaware of City of Refuge policies. "The city of refuge isn't the starting point for immigrants," she explained. Duignan said that the concept of political refuge began in the early 1980s with the Sanctuary Movement, an interfaith coalition whose members welcomed undocumented immigrants into their congregations and offered support. "There were refugees in flight from El Salvador and Guatemala, and they were being deported back to their deaths — some of them. In conscience, [faith leaders] felt they just couldn't see this happen, so they opened their congregations to refugees." At the time, the US government did not extend political asylum to those who fled political violence in El Salvador and other Central America nations, because those countries were considered allies in the Cold War, so their governments enjoyed US financial and military support. By offering sanctuary in their faith communities and through other types of activism, East Bay congregations and church leaders influenced municipal governments, including Berkeley, to extend similar protections: Berkeley declared itself a City of Refuge for undocumented Central American immigrants in 1986. Members of the Sanctuary Movement also lobbied national lawmakers, who approved temporary protected status for Central American refugees in 1990, then passed the Nicaraguan Adjustment and Central American Relief Act in 1997, which allowed them to apply for permanent residence. Supporters of sanctuary policies say that they benefit the communities that adopt them. Many undocumented workers contribute payroll taxes, helping fund government services. Worthington also noted that Berkeley's policy has enabled undocumented residents to come forward as witnesses in criminal investigations without fear of deportation. De Paz thinks the federal government should prioritize immigration reform because the current system — especially in non-sanctuary cities — re-victimizes people who have already suffered greatly. For an immigrant who's been in the United States for twenty or thirty years, "to go back means total devastation," he said. After so long in another country, people don't know anyone in the communities they fled from, and many Central American countries remain dangerous. De Paz has heard stories of deportees being murdered immediately upon their forced return to their home countries. He also believes that the US government owes a debt to the people of poor countries. In Latin America especially, he points to the legacy of colonialism and American support of repressive regimes. "The poorer the country is, the harder the policies are," he said. He argued that comprehensive immigration reform would be an important step in easing that legacy.